Eliminate chemicals, speed up drying time and keep your laundry smelling fresh with these DIY Dryer Balls. 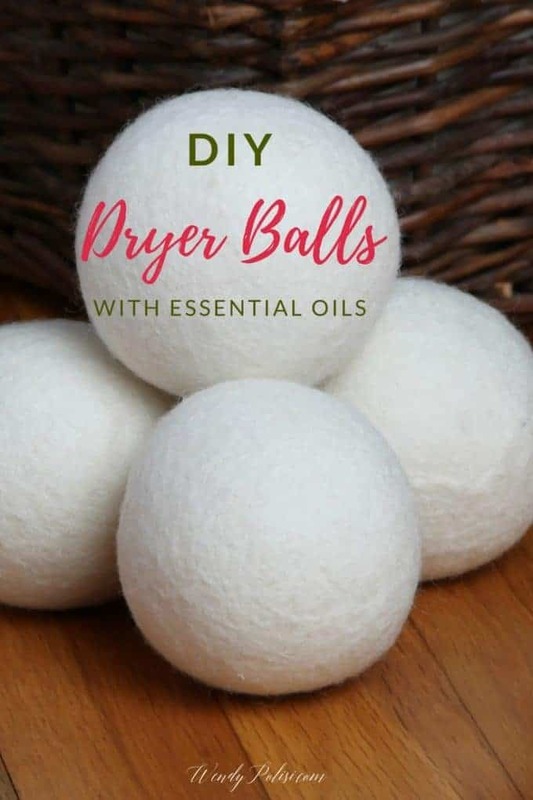 Easy to make Wool Dryer Balls with Essential Oils are an effective alternative to harsh chemicals. We do our best to eat natural and organic, but sometimes keeping a green home feels overwhelming. With tween boys who love to be outside, keeping our laundry soft and fresh minus the chemicals can be a big challenge. Great smelling laundry is important to me, but I just can’t get there when it comes to using conventional fabric softener and dryer sheets. These days I skip both altogether, in favor of these DIY Dryer Balls. They are a great natural alternative to fabric softener and dryer sheets. 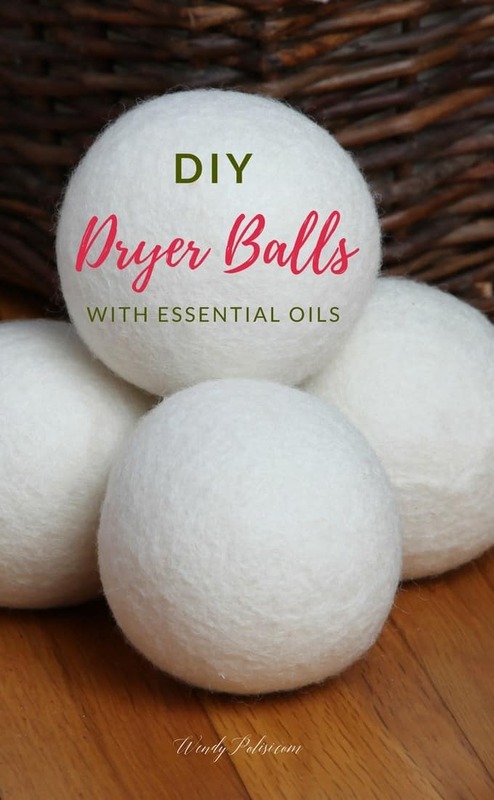 These DIY Dryer Balls with essential oils were so easy to make and can be reused over and over. 1 How Do the Dryer Balls Work? 3 How Do You Make Wool Dryer Balls? 3.1 Don’t have the time to make dryer balls? Get them from Amazon! 3.3 How Many Wool Dryer Balls Do You Need? By creating space between clothing and preventing them from sticking together, DIY Dryer Balls help clothes to dry faster. They soften clothes without synthetic chemicals. When you add essential oils to your dryer balls, they help to keep your laundry smelling fresh. How Do You Make Wool Dryer Balls? Don’t have the time to make dryer balls? Get them from Amazon! You may be wondering what is the point of dryer balls. Here are the reasons why you should consider using them. Dryer balls offer the same benefits as commercial dryer sheets and fabric softeners, without the toxins. Most dryer sheets coat clothes with chemicals like acetone (also found in nail polish remover) and quaternary ammonium compounds. These toxins are not only harmful to your health, but they can also negatively impact fabrics. Towels and work-out clothing will be more absorbent without a chemical covering. Commercial laundry products may contain xenoestrogens which are endocrine disrupters. These synthetic chemical compounds mimic the hormone estrogen and can lead to estrogen dominance. How Many Wool Dryer Balls Do You Need? I have used up to six in a very large dryer. For most sized dryers I recommend using three DIY Dryer Balls. Wrap the yarn around two fingers 15 times. Pinch the bundle in the center and pull it off of your fingers. Working in the other direction, wrap the yarn around the center of the bundle 15 times. Continue wrapping, alternating directions, until you have a ball the size of a tennis ball. Cut the end of the yarn and tuck the end under several layers of yarn. You may make multiple balls at the same time if you want. strings of yarn. You may need to wash and dry a second time. Or a third. To use, add 5 drops of essential oil to the ball and toss into the dry with wet laundry. Instead of vinegar soaked fabric sheets with essential oil as fabric softener, do you think soaked dryer balls would work equally well? Just wondered as they’d be ready to go if many were already in a jar. I haven’t tried it but I don’t see any reason why it wouldn’t work. I’ll make some up and give it a shot! Stay tuned….thanks for the quick reply! Please do let me know how it goes? This is such a fantastic idea! I would have never thought about it helping the clothes dry faster. We have got to make these for our laundry. They would be perfect, and I love that I can choose my favorite essential oil scents. I’ve never tried making these on my own before. It does make sense and it’s better than buying something that’s filled with chemicals. 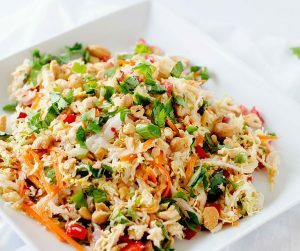 I’d love to try this! 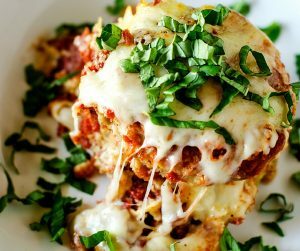 I think I saw this on Pinterest, I am hoping to give it a try. I think it will be a great DIY project for sure and I bet will leave clothes smelling wonderful. I love using wool dryer balls in place of softener sheets. I haven’t added essential oils to mine yet, but it sounds like a great way to add a little more freshness to a load of laundry. This is great! 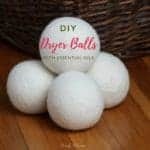 I’d love to make my own dryer balls! I’m in a crafty mood and my essential oils just came in today. I love this idea! Just when you the essential oils couldn’t get any better! This is a great hack! I will definitely try this for our laundry! Okay, I definitely need this in my life and I cannot wait to give it a try. I love that it also leaves your clothes smelling clean while speeding up the drying process! As humid as it has been lately, I think having dryer balls in the dryer would help! I will give this a try. I’d choose lavender essential oils to use with it. I love essential oils! I think this an awesome DIY concept for washing your clothes.